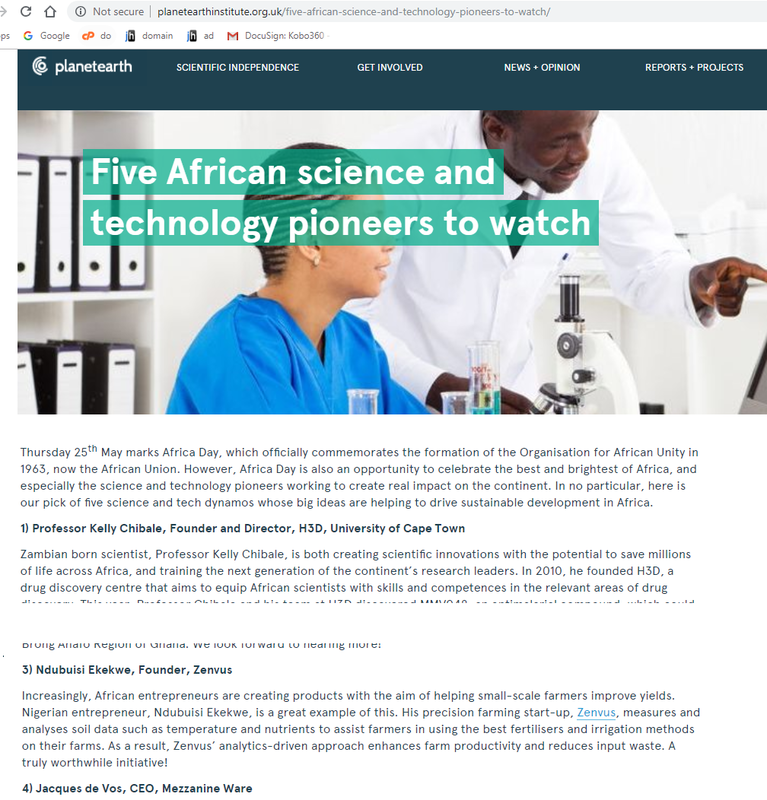 Yours truly was included as one of the “five African science and technology pioneers to watch” by London-based Planet Earth Institute, a non-profit chaired by a former Chief Secretary to the Treasury under ex-UK Prime Minister Rt Hon Tony Blair. Africa Day is also an opportunity to celebrate the best and brightest of Africa, and especially the science and technology pioneers working to create real impact on the continent. In no particular, here is our pick of five science and tech dynamos whose big ideas are helping to drive sustainable development in Africa.